UPDATE: The Eighth Man initially reported club elimination was done by tiebreaker, based upon the public score sheet. USQ has informed us that they did not have time to update the score sheet to reflect a format change and, in actuality, played a club division single-elimination bracket after one round of round robin on Saturday to determine who would face off in the final game on Sunday. 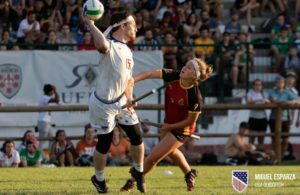 All but one Sunday game of the USQ South Regional Championship was cancelled in an early morning announcement from USQ event organizers due to a combination of extreme rainfall and heavy thunderstorms in Tuscaloosa, Ala. The tournament had already been heavily delayed Saturday afternoon due to weather conditions, and only the club championship, to be contested by Florida’s Finest and Gainesville Siege, will be played on Sunday, at 10 am ET. 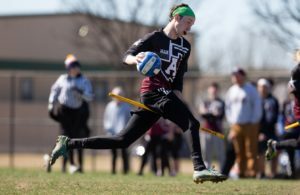 The 2018 USQ South Regional Championship is the first major quidditch tournament to be played in Alabama, a state which currently has zero USQ-official teams. With less than half of the collegiate division’s single round robin and the club division’s triple round robin played, USQ was forced to create a contingency plan for each. At the club level, they decided on a single deciding match to be played Sunday morning between the two top teams in the standings: Florida’s Finest, who sat at 3-0, Gainesville Siege, who sat at 2-2, having already lost a match to Finest. Southern Storm, also at 2-2, with a 1-1 head-to-head record against Siege, were eliminated from qualifying contention on the secondary tiebreaker of points against. Had the tournament been able to play out fully, Storm would have had a likely-decisive third match against Siege. “I think USQ did the best it could for a bad situation; I’m not mad at them for what happened. 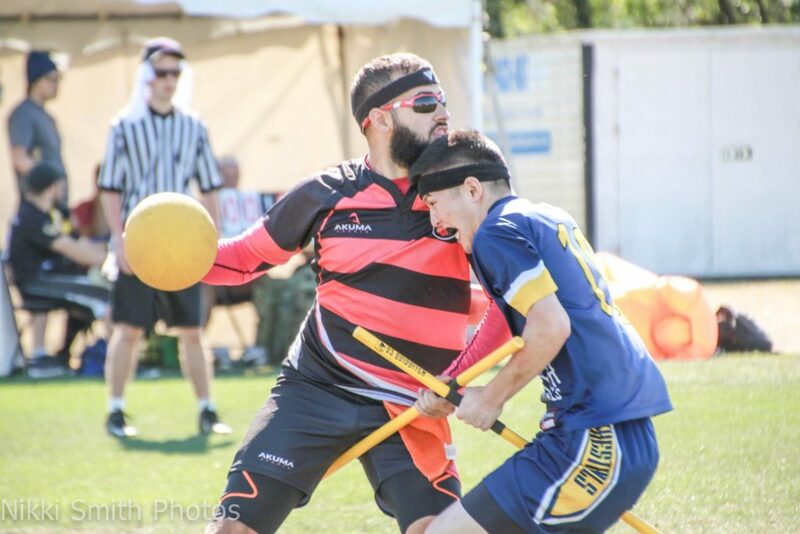 But I wish we could of had a better series with Seige and Finest to see who truly is the best team in the South, because, for me, that is still unanswered,” said Joey Galtelli, Southern Storm captain. In the collegiate division, where four bids were set to be doled out after each team had played each of the other eight teams one time, USQ has not yet announced their plan for deciding qualification. “As participating teams have been informed, USQ gameplay and events staff will meet in the coming days to determine the most appropriate and equitable means to distribute the South’s four collegiate bids, which we will announce as soon as possible,” USQ said in their official announcement. When The Eighth Man reached out to USQ for further comment, the organization said the announcement would be their only public statement on the matter at this time. 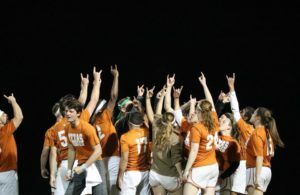 The college division, which played four-of-eight full rounds of matches before the cancellation, is currently led by University of Miami (4-0), University of Central Florida (4-0), University of Florida (3-1) and Florida State University (3-1). However, due to the imbalance of strength of schedule so far in the tournament, the USQ Gameplay Department may need to choose another means to give out the four bids. Central Florida, for example, entered the tournament with the second worst ranking in The Eighth Man’s ELO standings. The teams Central Florida beat on Saturday to obtain a 4-0 record had a collective record of 2-14 in their Saturday games. But the University of South Carolina (2-2) played four teams with a combined 9-7 record on Saturday. Ethan is the co-founder and current managerial editor and chief correspondent of The Eighth Man. When not talking quidditch, which is rare, he can be found drilling people's teeth and spending time with his elusive wife. He's also the worst.